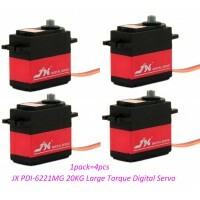 Description:Size: 21.4 x 15.2 x 6.0mmWeight: 1.5g Voltage: 4.2-6VTorque:4.8V: 2.78 oz-in (0.20 kg-cm..
TT Motor Description:This is a TT DC Gearbox Motor with a gear ratio of 1:48, and it comes with 2 .. Description:Brand: DS ServoModel: RDS3135MGDimensions: 40X20X40mmAngle: 270 degreeMaximum PW: 500-25.. 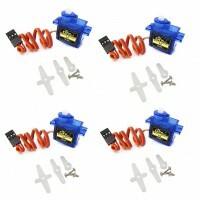 Description:Output: ≤15mA (5.0)Input: DC 4.2-6.0vOutput signal: 1.5ms ± 0.5msSize: 46 * 32 * 17MMWei.. Description:Geek Servo in Servo Mode Specifications:Power supply voltage:3-5VSuitable: microbit prog.. 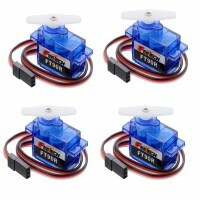 Description:Size: 22.9mm X 12.1mm X 26.5mmWeight: 9gGear type：Plastic GearLimit angle: 360°Bearing: .. 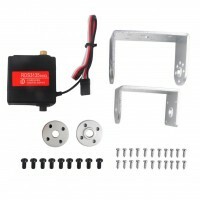 Description:High-precision metal gears with hard anodizing CNC aluminium middle Shell, Control.. Description:Material: 2.2mm aluminum Surfacing: sandblastingDimensions: 56X25X44.5mmWeight: 15.. Description:Material: 2.2mm aluminum Surfacing: sandblastingDimensions: 58X37X25.5mmWeight: 15.. 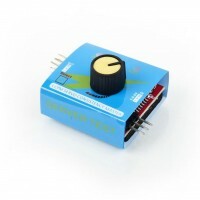 Description:Perfectly compatible with for Futaba, for JR, for SANWA, for Hitec and other remote syst.. 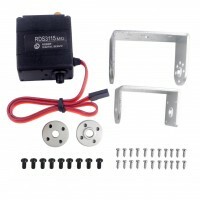 Description:This is a TT DC Gearbox Motor with a gear ratio of 1:48, and it comes with 2 x 200mm w.. 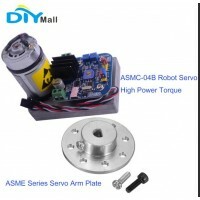 Description:DIYmall SG90 is a high quality,low-cost servo for all your mechatronic needs. It com.. 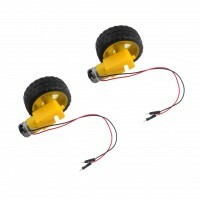 Description:Brand: DS ServoItem: RDS3115Angle: 270 degreeMaximum PW: 500-2500μsWorking Voltage: DC 4.. Description:Model: DS04-NFCFor Aerospace Model / Cars / robotWeight: 38gDimensions: 40.8 x 20 x 39.5..